The importance of weaving in Bible times is described by John A. Beck. This practice continues in many parts of the world to this day. On various tours that I have conducted the group will gather around a woman working at the loom to make clothing or carpets. They usually marvel at her skill and finesse. We see a wonderful example of this at Nazareth Village. Sometimes an older, more experienced woman demonstrates how to spin wool to weave cloth. On this occasion a young lady was using wool previously dyed to make the thread needed for the project we see on the loom. 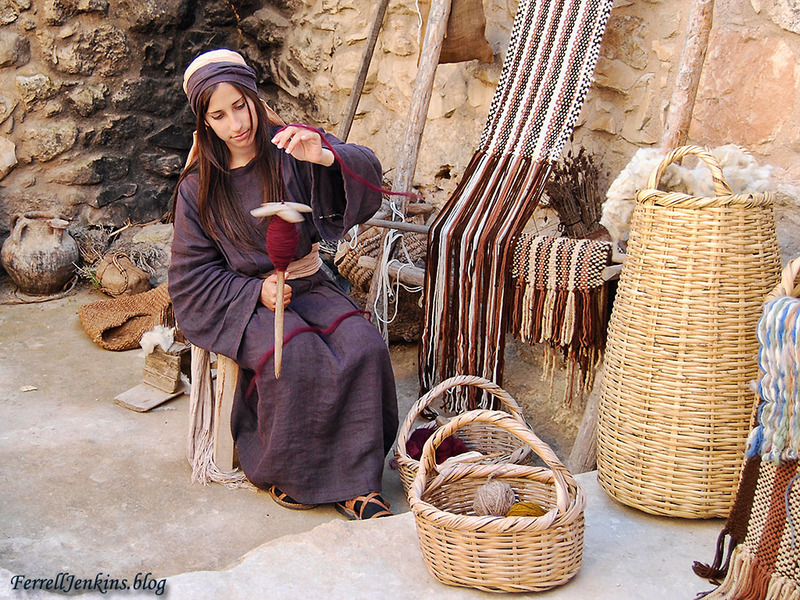 A young lady spinning wool at the Nazareth Village. Photo by Ferrell Jenkins. 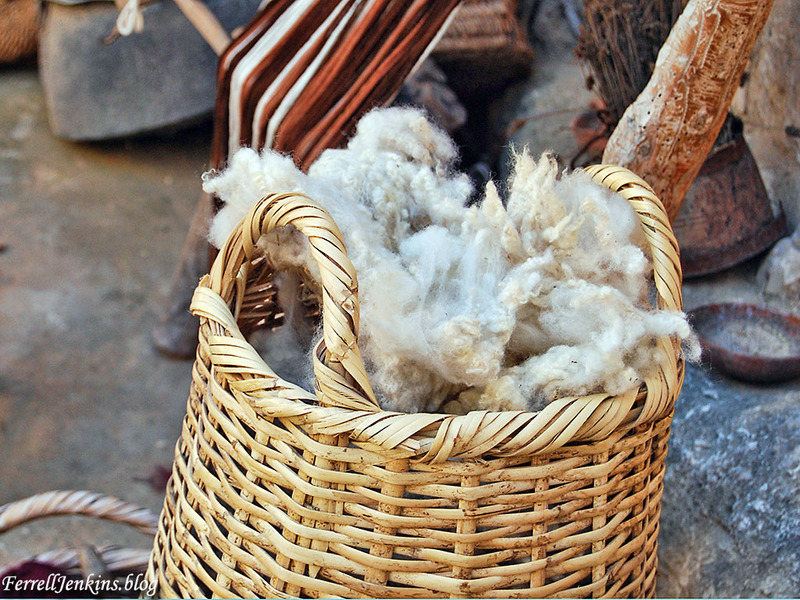 There is a long history behind the wool waiting in a nearby basket, but that is for another time. A basket of wool waiting to be spun into yarn. Photo by Ferrell Jenkins. You might enjoy a longer article about “Weaving in Bible Times” here. This entry was posted in Bible Lands, Bible Study, Culture, Family, Israel, Old Testament, Photography, Travel. Bookmark the permalink.